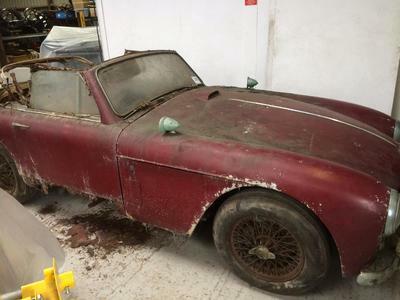 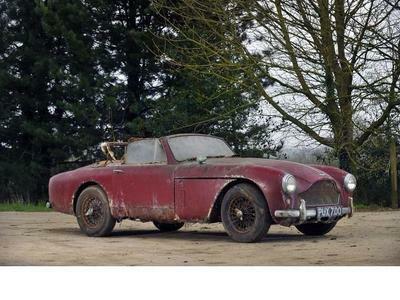 Sold at a Bonhams auction after sitting in the previous owner's garage since 1973, It was parked up with all good intentions back then with it even being covered by a canvas tarpaulin, presumably knowing it was likely to be parked up for some time ? 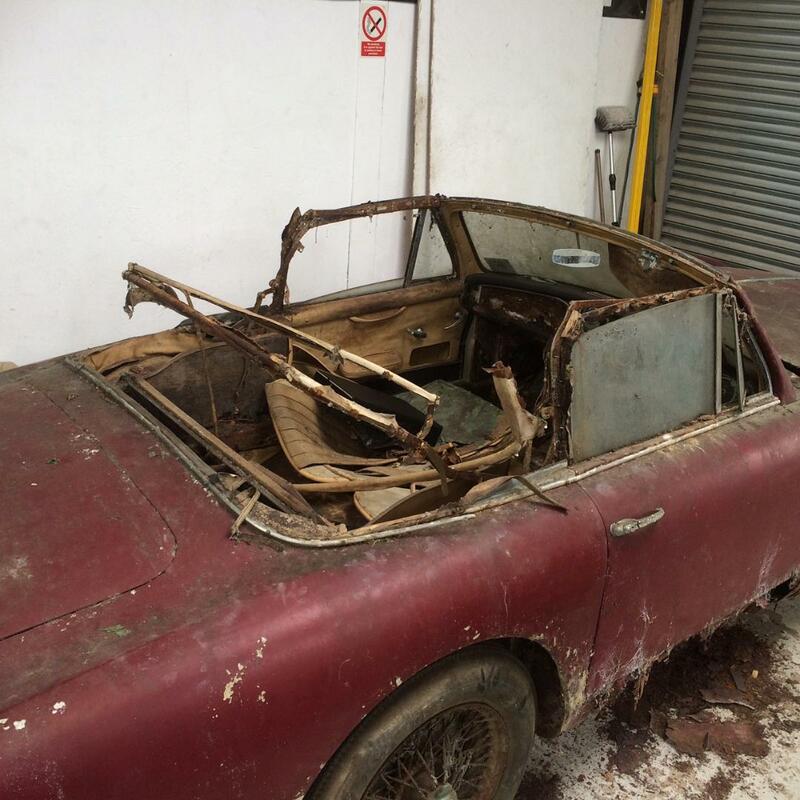 However it was sadly forgotten about until the owners passing in 2014 when it was discovered by family members who were under the belief it had been sold many years before, the tarpaulin had completely rotten away it had been there so long with the garage roof being a water tight cover having also failed long ago too. 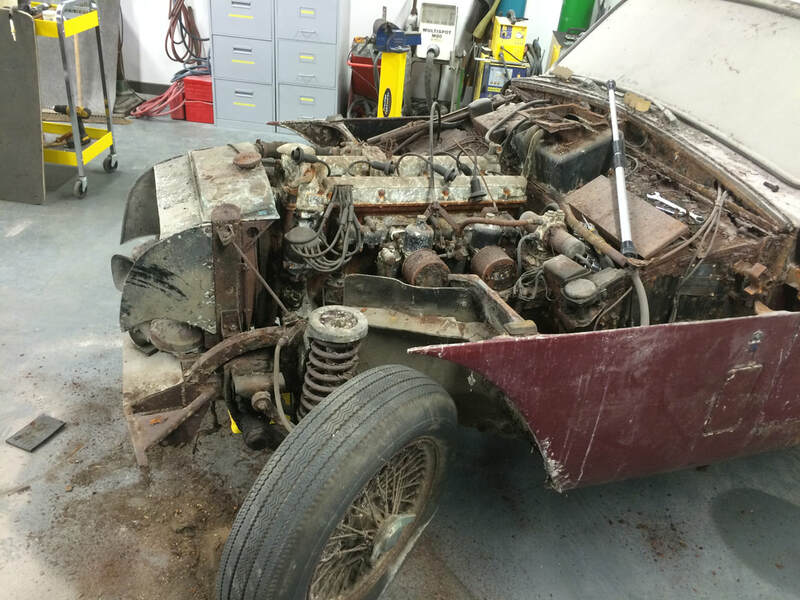 Once our client had completed the auction purchase he insisted on a zero compromise restoration for this unique low numbers car ensuring this matching numbers example will arguably be the finest Mk3 Drophead to grace the Concours lawns once completed. 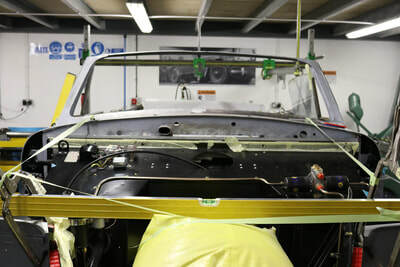 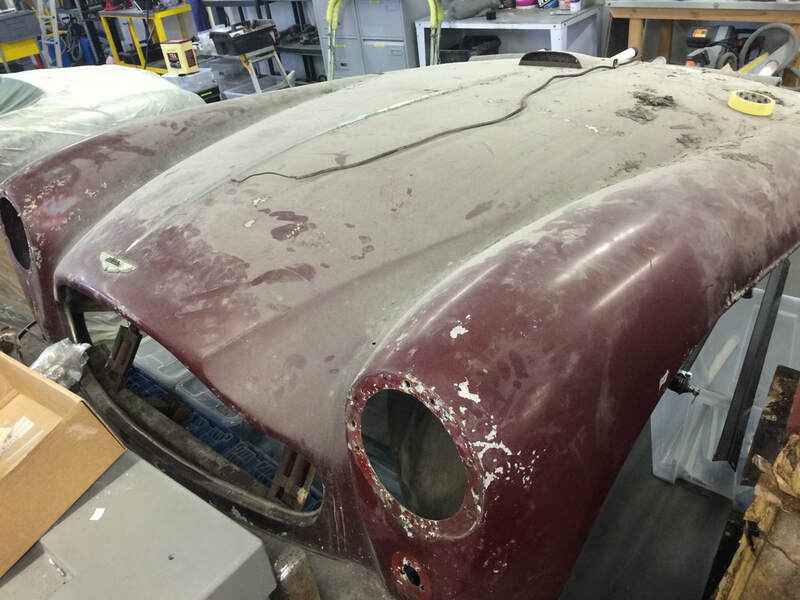 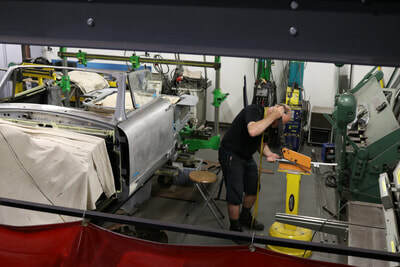 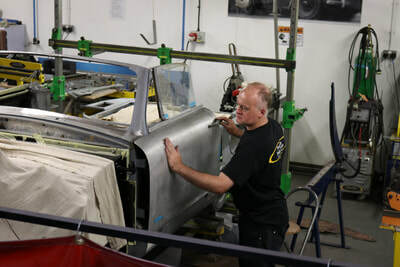 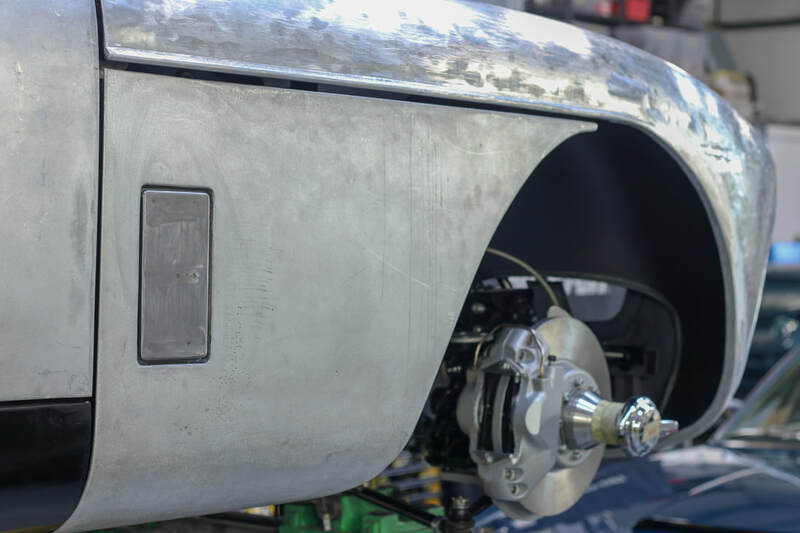 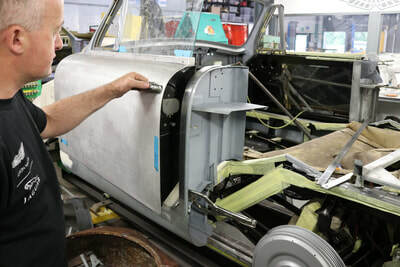 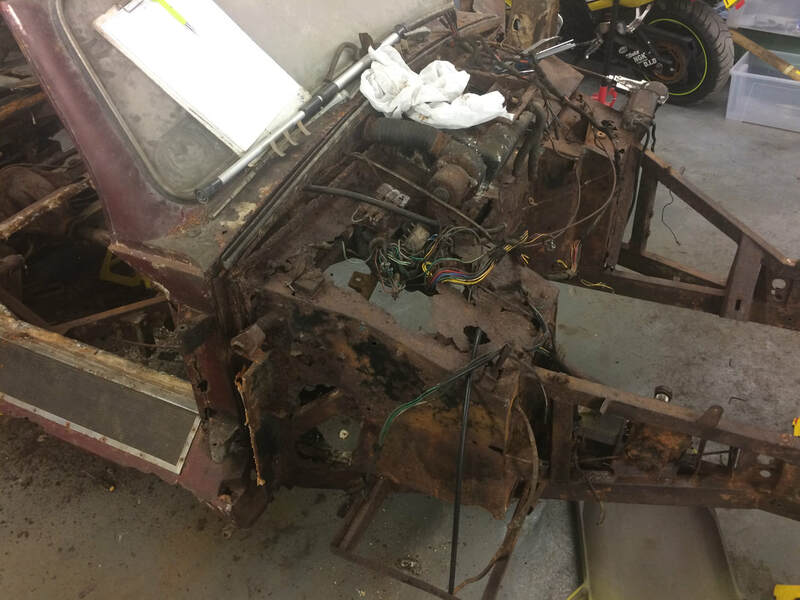 The restoration process began with carefully removing all parts from the car, detailing what could be salvaged and what needed to be replaced. Once this was completed, the body was removed and chassis loaded onto the global jig for reference data before being sent away for chemical dipping to remove all rust. 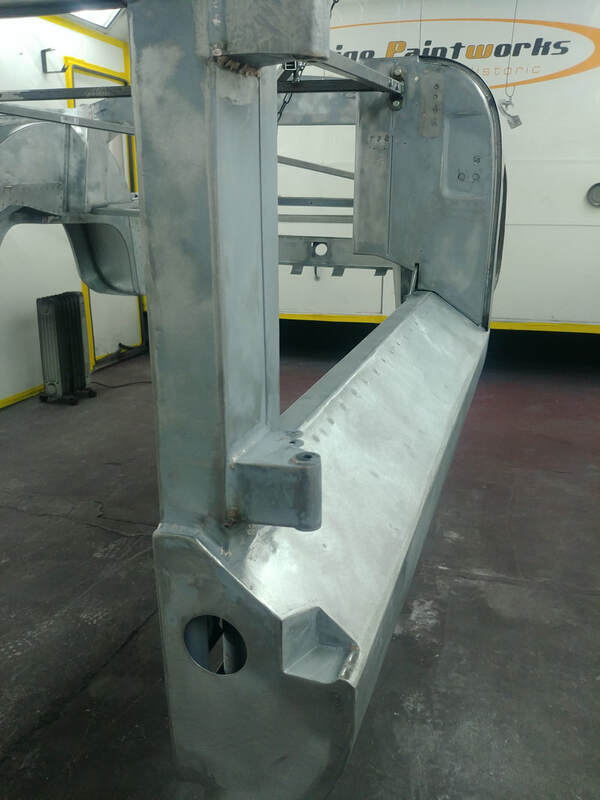 Once back it was reloaded on to the global jig and fabrication and replacement of bulkhead was carried out as was most suspension mounting points that had deteriorated beyond salvage. 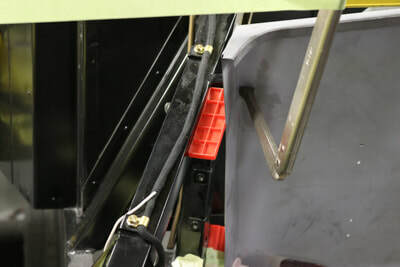 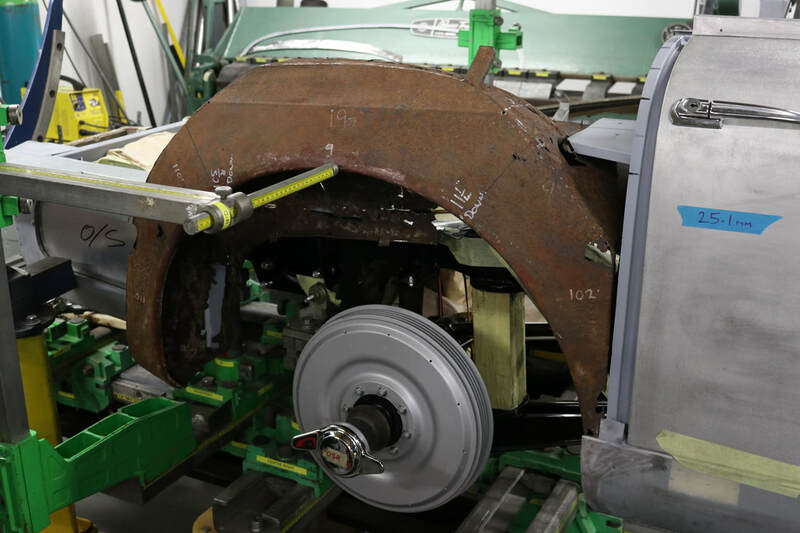 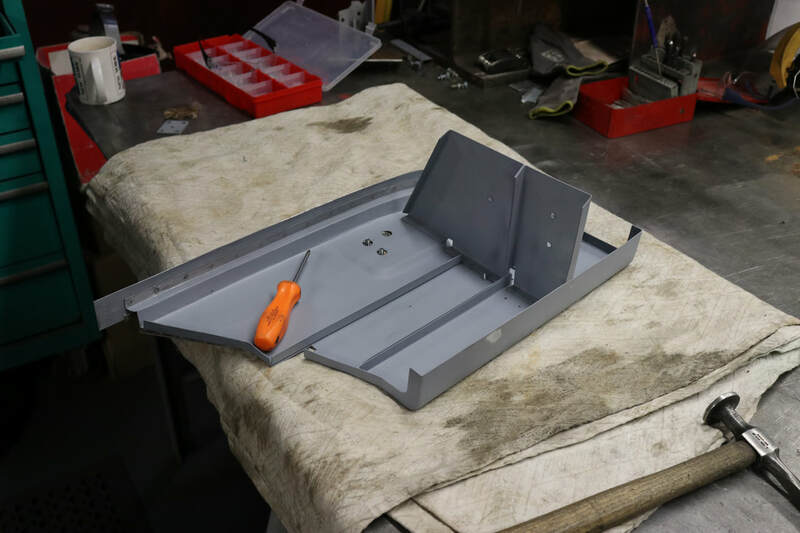 Once fabrication work was completed, the chassis was sent back for a second round of chemical dipping to get rid of the burns that had been left by the welding and oxidisation that had taken place in the box sections. 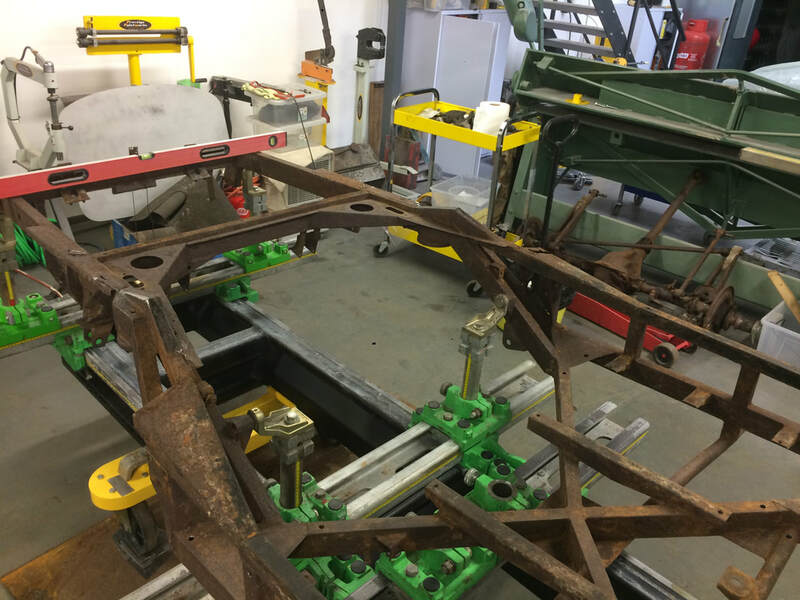 The chassis has had any minor imperfections taken care of and any pitting left from the rust removal sorted prior to high build primer. 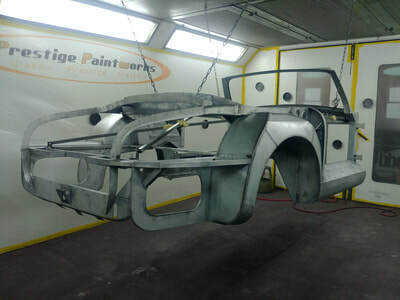 It was then block sanded , given a coat of epoxy wet on wet primer then given 3 coats of two pack satin polyurethane topcoat. 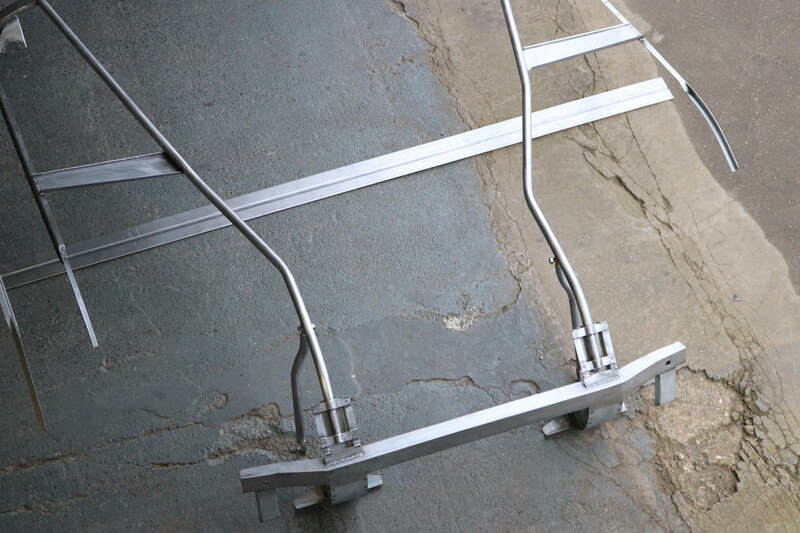 A new aluminium fuel tank was fabricated and painted in the same product. 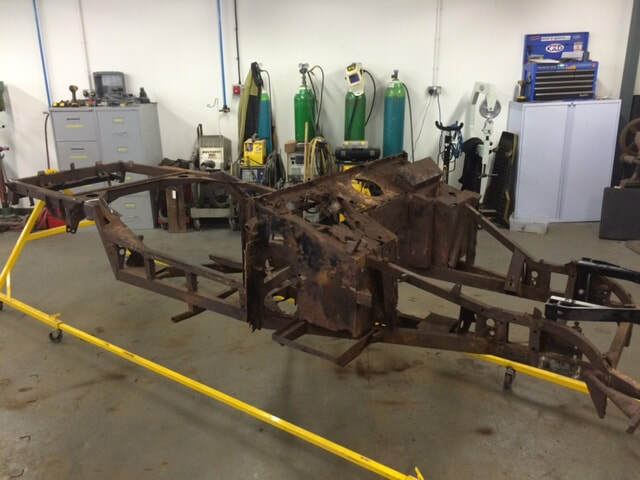 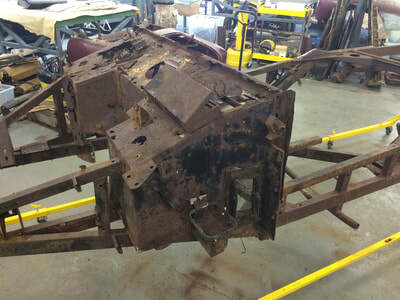 The front and rear suspension has been removed and disassembled for sandblasting and has been completely overhauled and repainted and is now re united with the chassis. 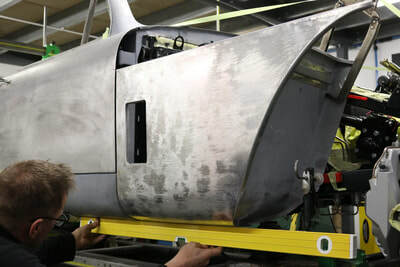 With the corrosion and alignment of the body to tackle next we started on the doors first by peeling the edges of the skins away to leave just the frames , logged all measurements and data before slowly dismantling each individual panel, fast forward a year or so and all the steel inner structure has been completely remade and 90% of the aluminium outer skin has been fabricated by ourselves in house including new front wing frames and outer wing skins. 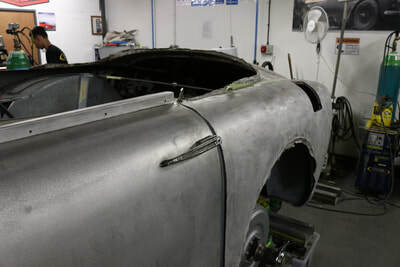 A complete new bonnet frame came next due to excessive corrosion before new sections of outer bonnet wheeled up in house and gas welded in too. Its been hugely satisfying correcting corrosion and alignment issues/irregularities that have presented themselves, we have done our best to make this a more symmetrical car than when it left the factory whilst trying to hold onto that 'hand built' feel. 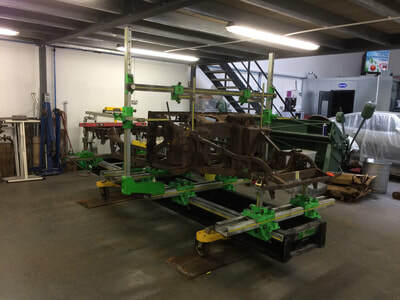 This stage has been completed and we are now going through the levelling stage. 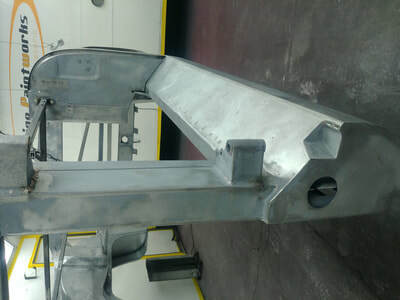 This is the final step before polyester primer. 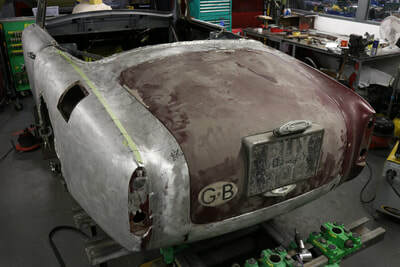 ​Early 2019 should see this car returned to its original colour of Peony Red, then the refit can begin. ​For what was once such a sorry looking car we are enormously proud that Prestige Paintworks were give the responsibility of saving it.